Such a shame that Craighead House was destroyed by fire in February 2001. It left a scene of destruction that left no alternative for contractors to demolish the building and indeed the surrounding outbuildings. 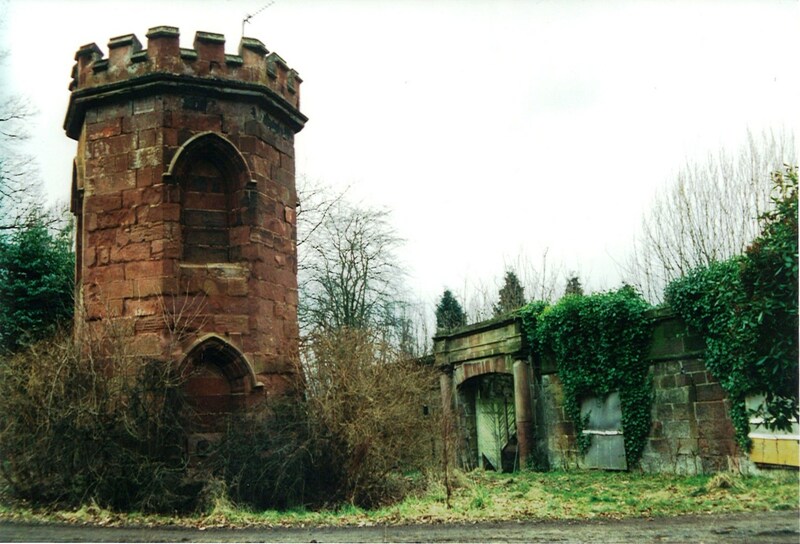 One of such outbuildings, was a sandstone tower, with “battle ramparts”. The tower was likely an 19th century addition to the house, a Victorian folly if you like. It may not have served much other purpose other than to add to the grandeur of the main building but it would have been a nice vantage point also to look out upon the Clyde. Alex Rochead has kindly shown me these photos which opened up a little bit of a mystery. Photographed several years ago, just after the house and buildings were demolished, at the inside base of the tower was a tunnel or chamber. (pictured). What was this? Where did it lead to? It was most probably a well as access would have been difficult if it were anything else.